"Let's Create! 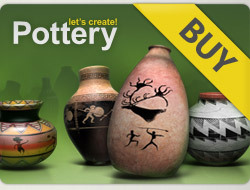 Pottery Community Portal" is a virtual gallery hosting items created in "Let's Create! Pottery" application. The website has been developed by Infinite Dreams Inc. in order to provide an efficient tool allowing Let's Create! Pottery players form all around the world to exhibit, comment and rate their works. We are a passionate, innovative and hard working team which is extremely aware of the meaning of the word "fun". It is our main goal to provide unique and highly addictive games for various platforms! Make sure to visit our official website for more information on our company and our products: www.idreams.pl.